By now audiences have been introduced to the Guardians of the Galaxy. Sure, there are a lot of comic readers that already knew who they are, but the vast majority of moviegoers had never heard of this ragtag group of space adventurers. They didn’t know the difference between Gamora and Nebula, nor could they have told you what is up with that talking raccoon. Still, this got me thinking, if Guardians of the Galaxy made it as a movie, what other lesser-known comic book heroes could make the leap to the big screen? So without further ado, here are my choices for five obscure (by non-comic readers’ standards) superheroes that should get their own movies. A personal favourite of mine, Jack Knight is a fantastic superhero character for one simple reason: he doesn’t want to be a superhero. For 80 issues (plus some specials) Jack took up the mantle of Starman to carry on his dad’s legacy, even though all he wanted to do was run his antique shop. If one of the prevailing complaints about superhero comics is that nothing ever changes then Starman is the counter-argument. Over the course of the book’s run Jack softens to the idea of becoming the new Starman and becomes a great superhero in his own right, even if he insists on doing it on his own terms (he won’t wear the costume). There have been many “Starmen” over DC Comics’ history, but there has only ever been one Jack Knight. Jack Knight is the creation of James Robinson and Tony Harris. To learn more about Jack Knight read: Starman Omnibus, Vol. 1-5. Runaways has always been more of a cult hit than a breakout success, but those who love these characters REALLY love them. This is the story of six (to start) teenagers who learn that their parents are supervillains and… you guessed it… run away. Combining superhero action with teen angst, this adaptation would add some youthful flare to the Marvel universe and give young people some characters to root for that they have something in common with. After all, what teenager hasn’t thought that their parents are evil at some time or other? The team of teens is full of memorable characters, from the quick-witted Gert to the adorable Molly. Not to mention the team includes a genetically engineered dinosaur. Yes, you read that right. 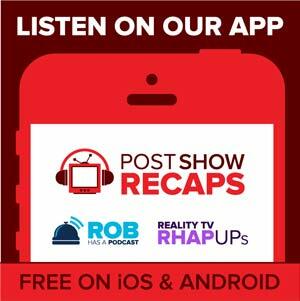 But most importantly, over the course of the series you grow to care about these people, so that when things happen (and things certainly do happen) you feel it. Runaways has been in production from Marvel Studios, but plans to make the movie seem to have stalled. I think it’s time to get this one going again and bring some young blood into the Marvel movie universe! Runaways is the creation of Brian K Vaughan and Adrian Alphona. To learn more about them read the upcoming Runaways: The Complete Collection, Vol. 1-2 (or the trade paperbacks). What makes Booster Gold so much fun is that he’s not the best guy. In fact, he’s not even a hero for altruistic reasons. He’s just a museum night watchman (with a tragic past) who stole a bunch of gear and traveled back to our time so that he could become a rich and famous superhero. He’s not quite a hero, but he’s not really an anti-hero either. He just wants the lifestyle that he always imagined for himself, and if helping people out will help him get it then great. This moral ambiguity lends itself to a great character arc. After all, if he’s doing it for all the wrong reasons does that mean his good deeds don’t have value? Throw in a fantastic sense of humour and a plucky robot sidekick and you’ve got a recipe for what I think could be a breath of fresh air in DC’s current grim and gritty superhero movies. And hey, if they wanted to throw Booster’s best friend Blue Beetle in there I’d be all for it. Of note, TV fans may remember Booster Gold from the classic episode of Justice League Unlimited, “The Greatest Story Never Told” as well as from the Smallville episode “Booster”. Booster Gold is the creation of Dan Jurgens. 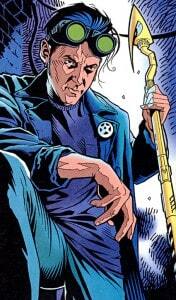 To learn more about him read Justice League International: Vol. 1. Think of him as Batman, if Batman dressed in an all-white costume and suffered from dissociative identity disorder. That’s right; Moon Knight is a vigilante with multiple personalities and one of the more striking costumes in comics. 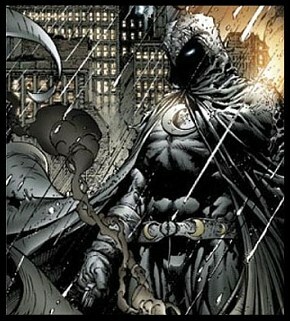 Moon Knight is the creation of Doug Moench and Don Perlin. To learn more about him read Moon Knight by Brian Michael Bendis & Alex Maleev, Vol. 1-2. This one seems like a no-brainer, with creator Robert Kirkman’s The Walking Dead being the biggest show on television. Kirkman’s other long-running story at Image Comics is Invincible. What started as a small, elegant tale of a teenager who inherits his dad’s superpowers has become a sprawling 100+ issue epic, complete with spin-offs and massive status quo changes. Mark Grayson is the main character, and he’s everything you want from a new superhero. He’s young, funny and makes lots of mistakes along the way. There have been comparisons to early Spider-Man and I think they’re apt. Over the course of the series we see his growth, and unlike many Marvel and DC comics the plot-twists stick. In fact, there have been plenty of moments that can only be described as jaw-dropping. Known for its charm, complex characters and occasional mean streak, Invincible is ripe for a series of films that will take superhero cinema to new places. 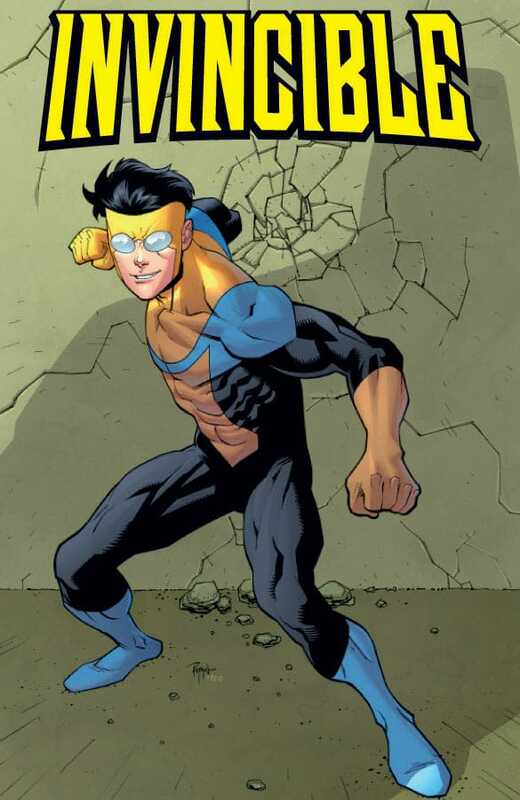 Invincible is the creation of Robert Kirkman and Cory Walker. 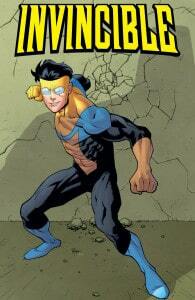 To learn more about him read The Invincible Ultimate Hardcover Collection Vol. 1 (to start). 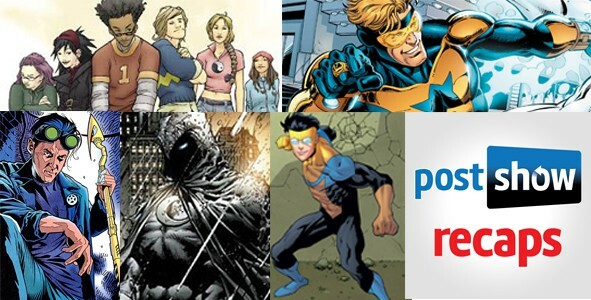 These are five of the more obscure (to non-comics readers) characters that I’d like to see get the big screen treatment, but how about you? Leave your suggestions in the comments and let me know what you think!